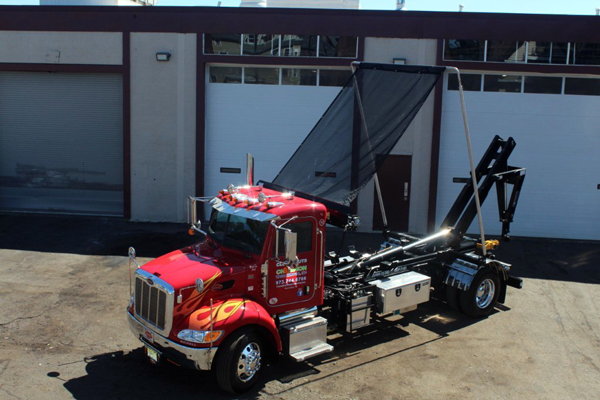 Stellar manufactures the best articulating tilt and sliding jib hooklifts. 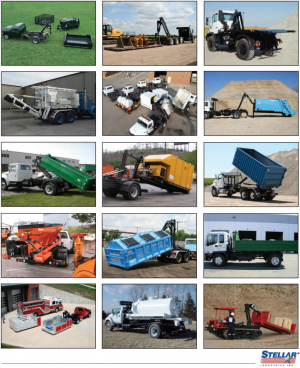 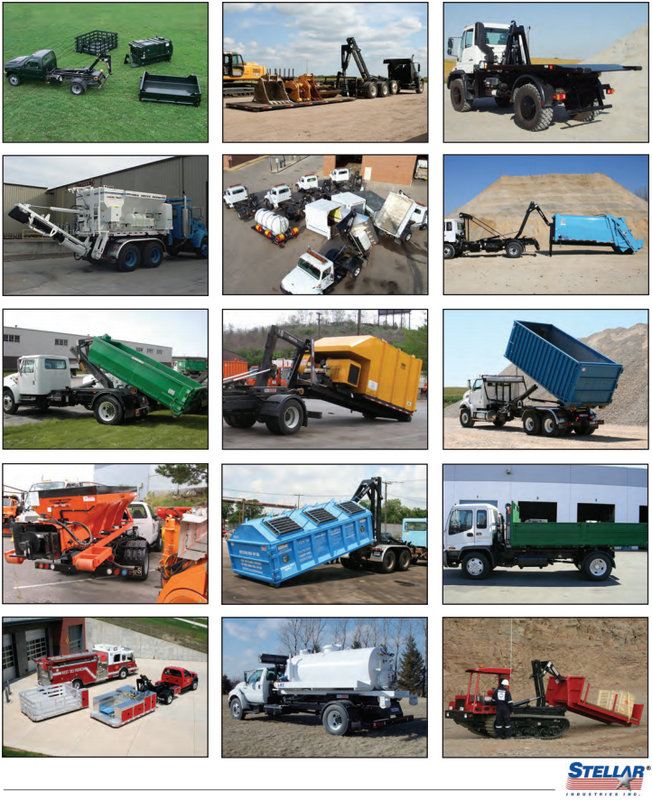 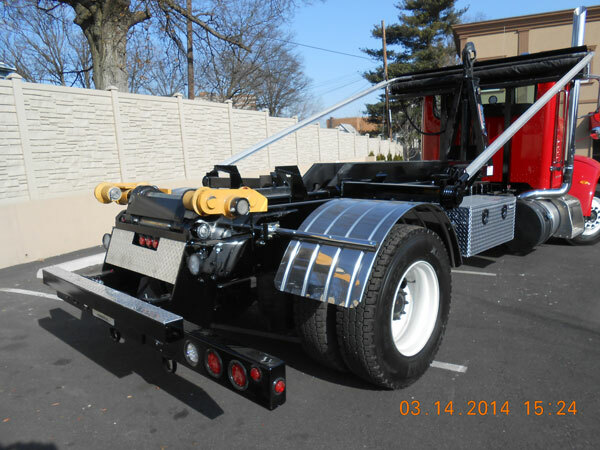 Truck Body East offers nearly 50 different Stellar hooklift models covering a wide range of capacities and body sizes for all industries. 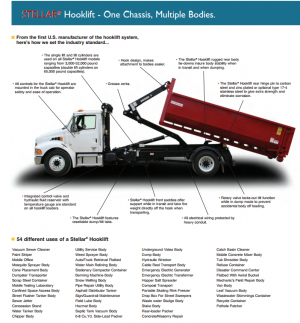 When it comes to the Stellar® Hooklift System, simplicity of design and operation are at the top of our priorities. 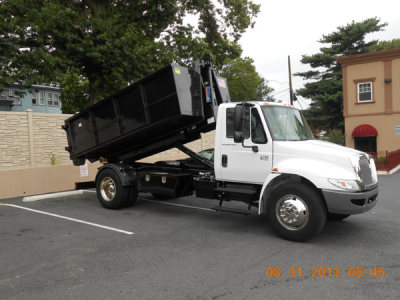 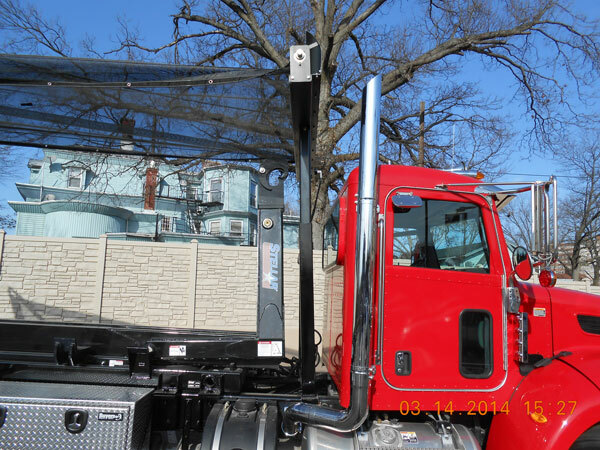 With a single truck, an operator can load, unload or change bodies without leaving the truck cab. 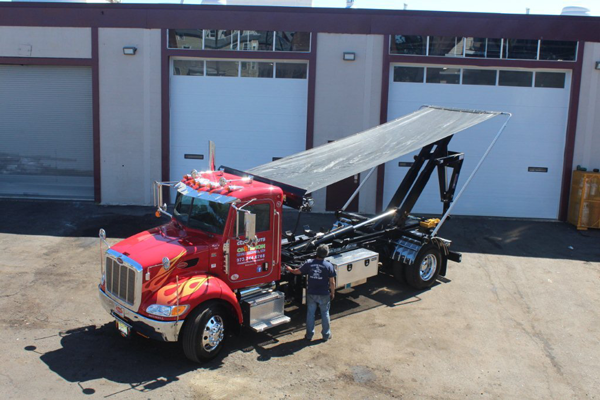 This drastically increases efficiency and productivity while cutting down on operational costs and maintenance. At Truck Body East, we take pride in our ability to listen to our customers and build Stellar Hooklift products to meet their specific needs. We have designed and installed a large number of Stellar custom hooklifts. 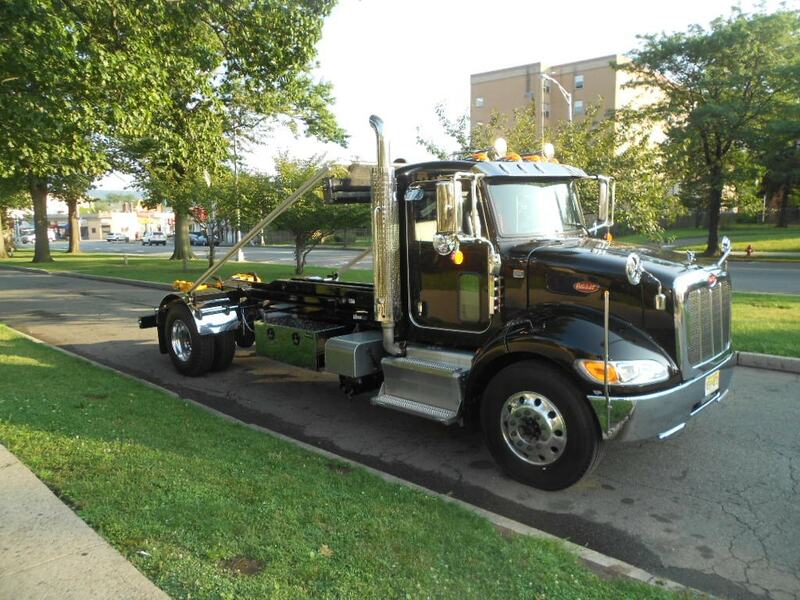 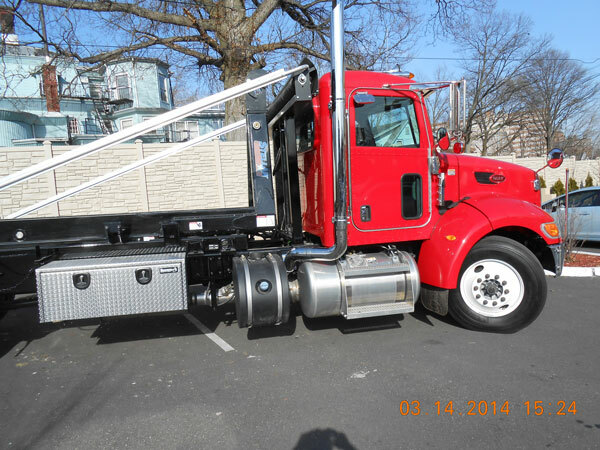 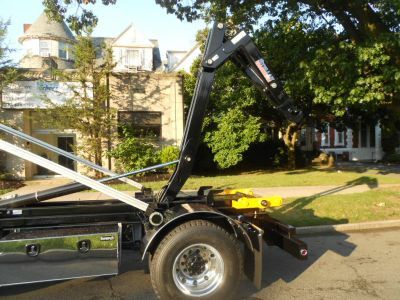 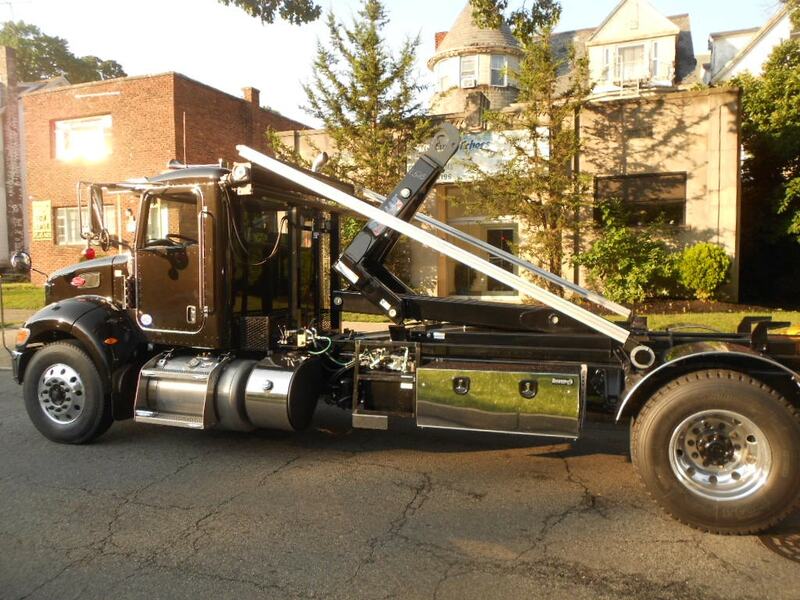 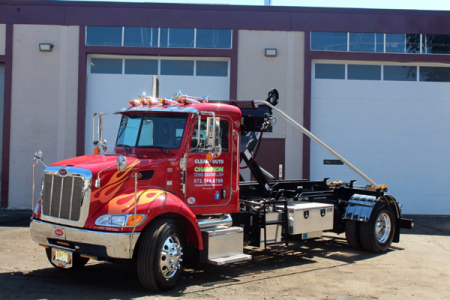 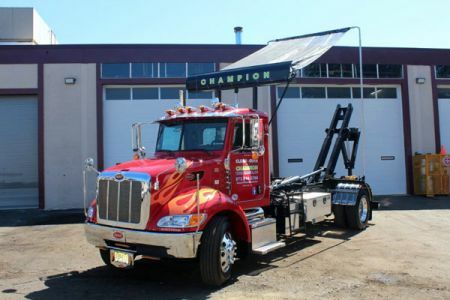 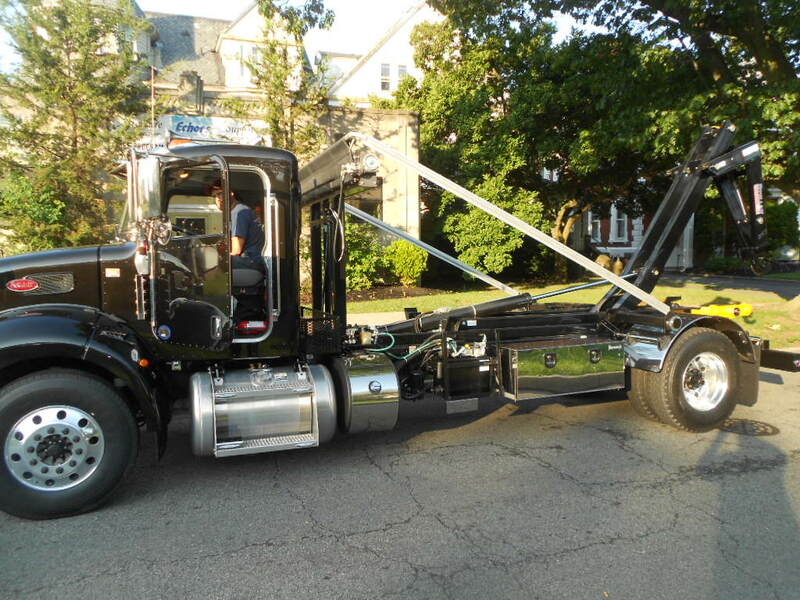 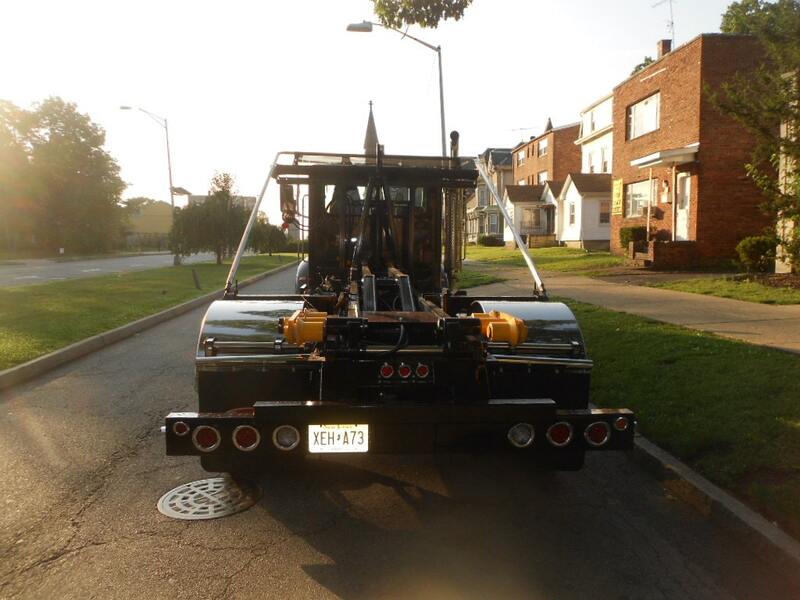 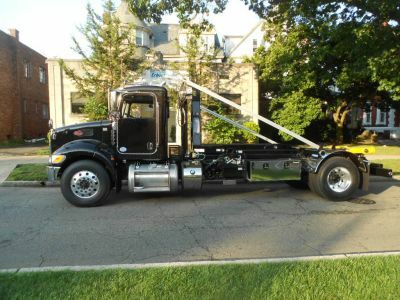 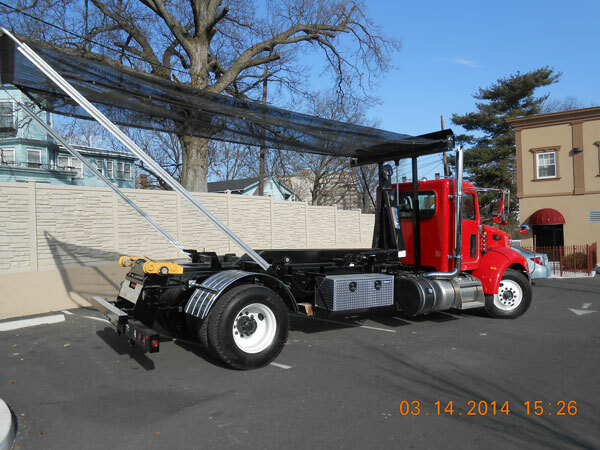 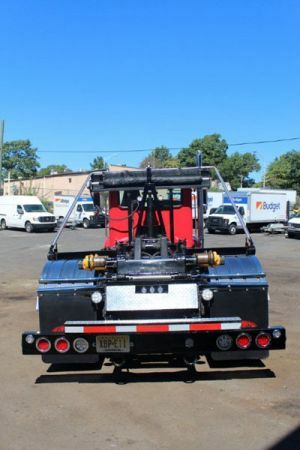 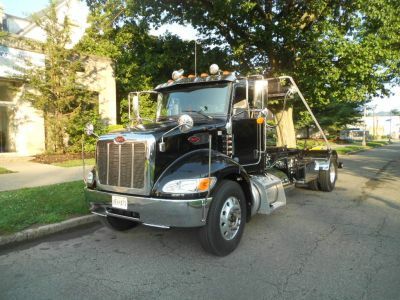 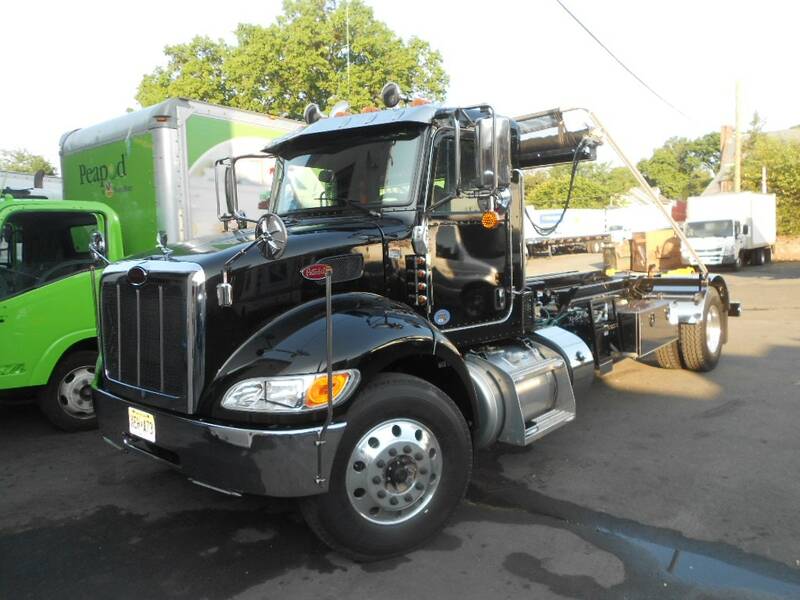 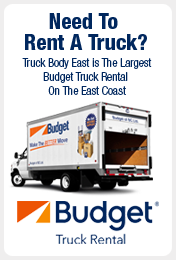 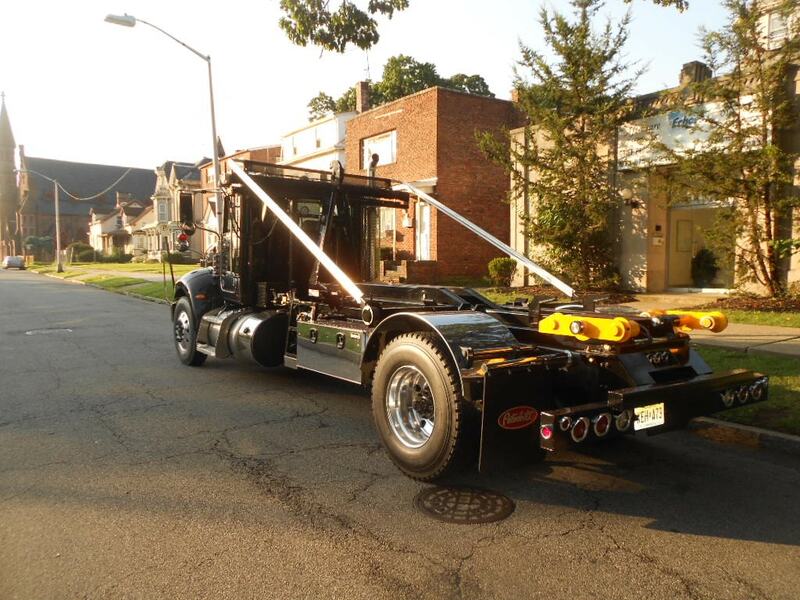 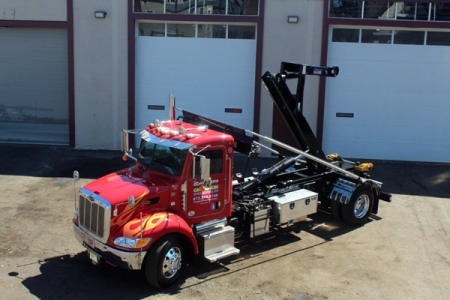 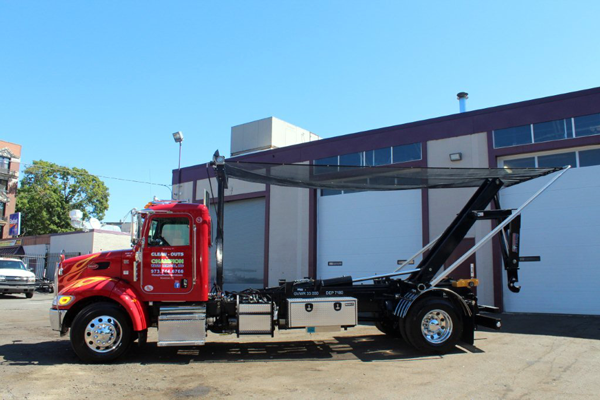 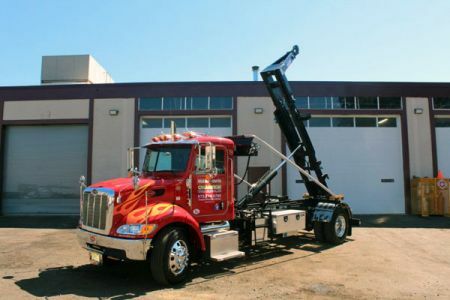 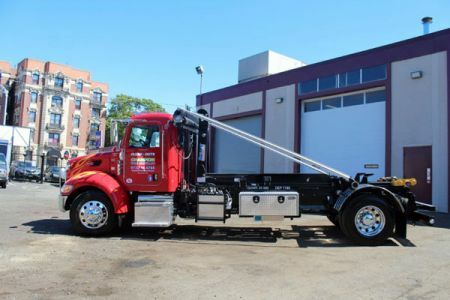 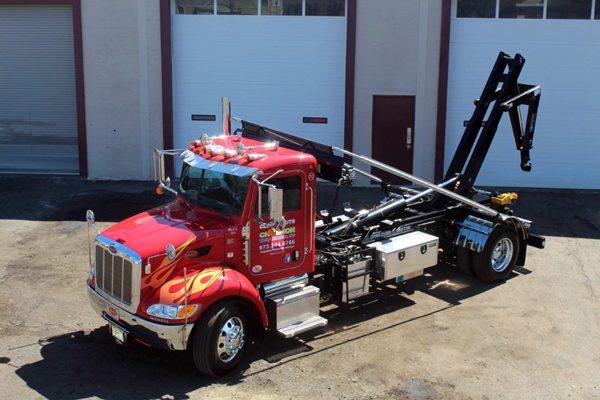 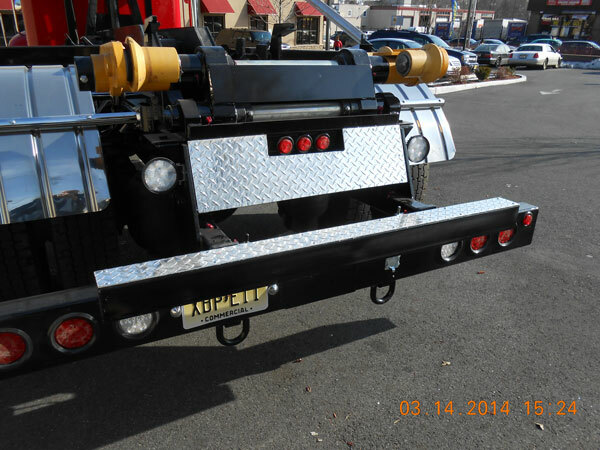 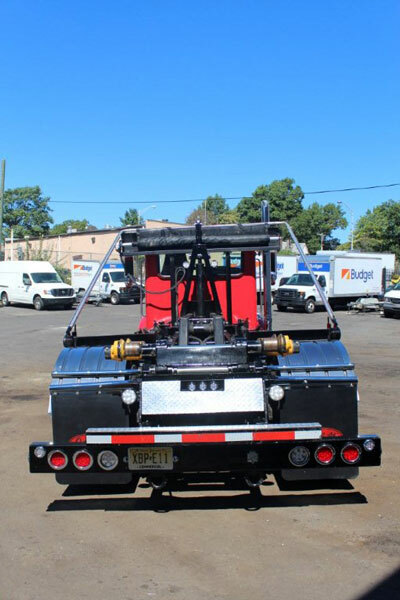 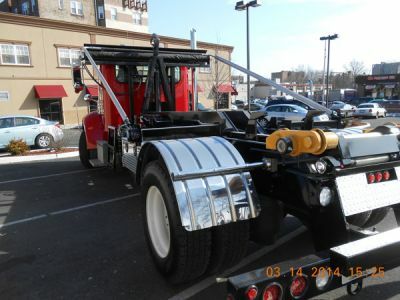 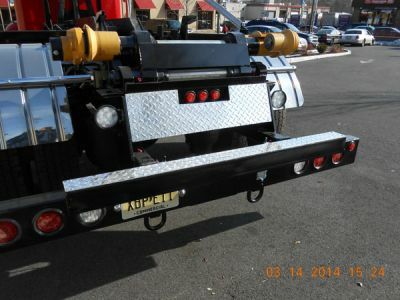 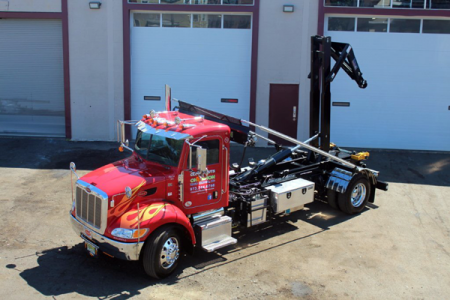 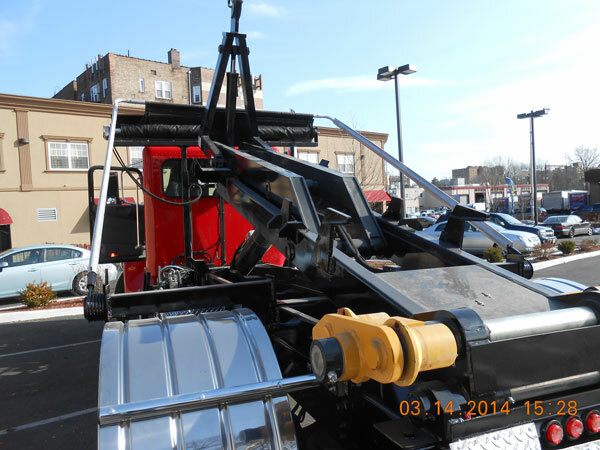 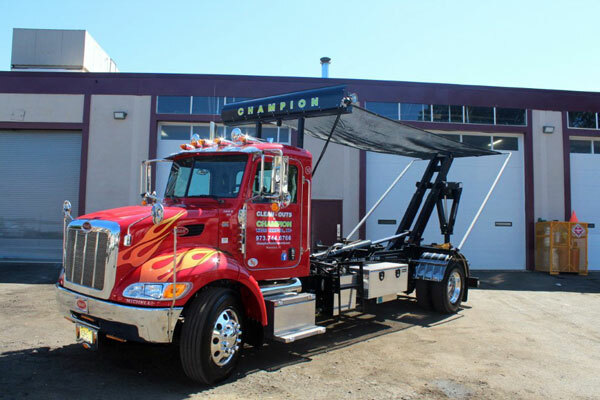 This level of experience and dedication at Truck Body East to the Stellar Product Line has placed us firmly at the top as the go-to-guys for Stellar Hooklifts. With a broad array of styles and sizes, the Stellar® Hooklift has proven its versatility in a wide variety of applications for many size trucks. 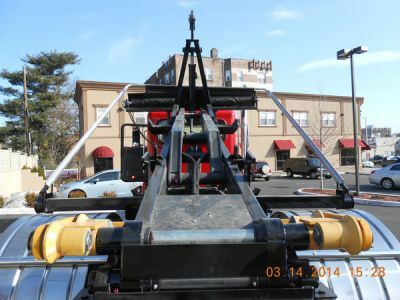 From municipalities to roofers, lumber yards to waste disposal, the Stellar hooklift can be found in almost any application at locations around the world. 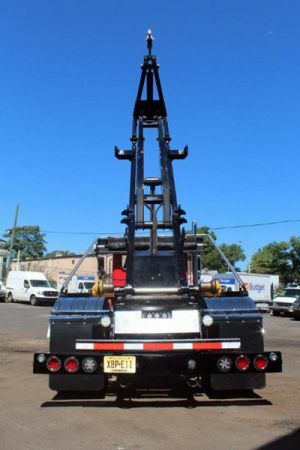 Contact us today for a quote on a Stellar Hooklift.